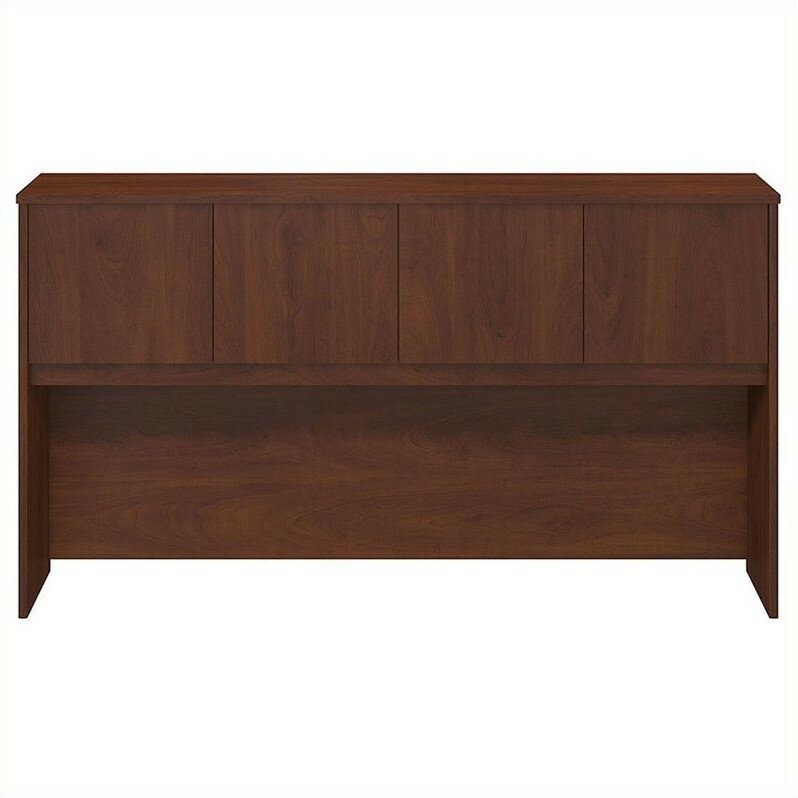 Create abundant storage in your work space by adding the 66W Hutch in Hansen Cherry for an exceptional value that lasts for years. This Hutch features concealed storage behind four attractive doors that function with self-closing Euro-style hinges for a soft close. Easily integrates with a 66W Desk for a cohesive style in creating your personalized workspace. The 66W Hutch accepts two Task Lights and can be accessorized with coordinating 66W fabric tackboard both sold separately. The finished back panel enables the Hutch to be used to divide workstations and keeps unsightly cables hidden with integrated wire pass through area. This solid, proven family of products fits all of your home or professional office needs regardless of space, future expansions and budgets. It works well in any setting from a small private or home office to large collaborative corporate settings. Meets ANSI/BIFMA standards for safety and performance in place at time of manufacture. Assembled in the U.S.A and backed by Scranton & Co's 10 Year Warranty.